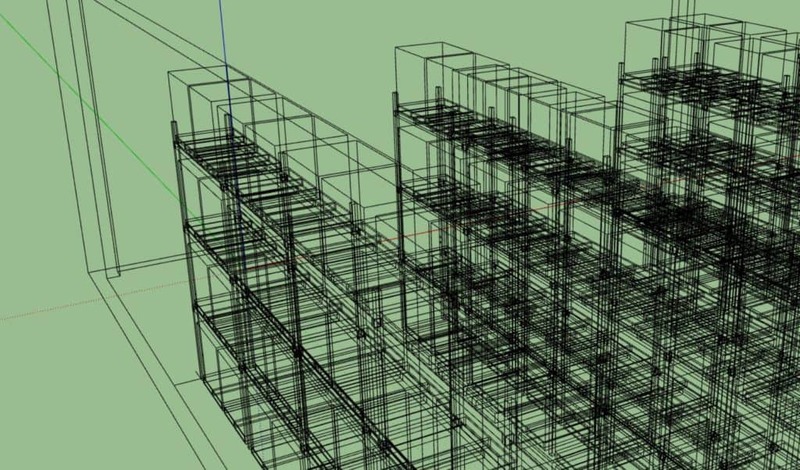 Do you need some tips for modeling a warehouse efficiently? Are you encountering long processing time, with the hypnotic circle representing the cursor going round and round? Here are some suggestions I will share with you, based on my experience. Separate components into different layers and hide these layers when not in use. Save often. You don’t like to be in a situation where the bug splat happens and your work for the past 30 minutes has not been saved. Try using guide lines to mark out the required point. For beginners, try to move the components in line with the X, Y and Z axis. Moving directly from point A to B may cause the component to float or submerge beneath the surface. Familiarize with the move & “Ctrl” functions to duplicate. This will speed up the modeling time. Unless required, don’t focus on the minor details. 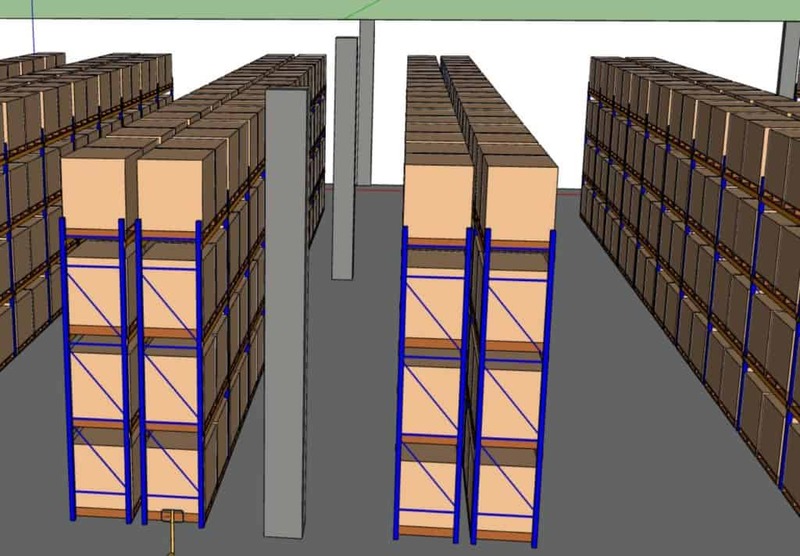 What is critical in the warehouse modeling is usually the storage layout. Please ensure that during the design phase, the pillars are not in the middle of the aisle, blocking the way of the forklifts. Check for components that are huge and complicated. If possible, replace them with smaller and lighter components. This will help to reduce the overall file size. Using a mouse to navigate within the software environment is recommended. 2 quick shortcuts to help us move around. 1st one is pressing the wheel of the mouse and moving around to orbit. 2nd one is pressing the wheel and “Shift” key to change to pan. 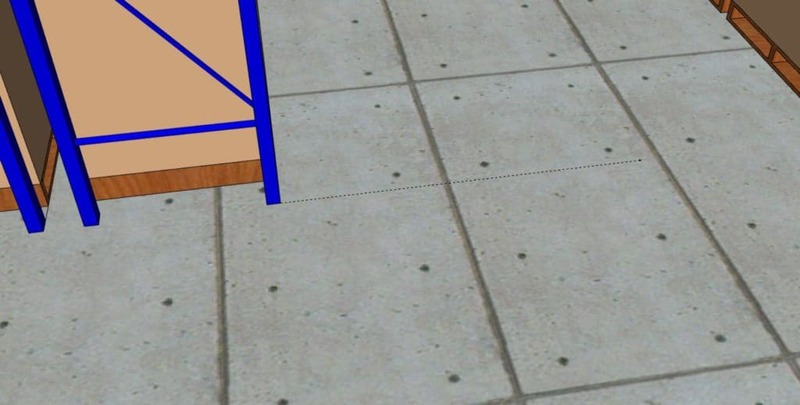 For hard to reach area within the model, you can change to “wire-frame” or “xray” to reach the spot. Select “Zoom Extents” to centralize the model. Now that you are experienced in SketchUp, do you want to create components which you can modify instantly? Look out for the tutorial on the creation of Dynamic Components. ← How to determine the size of the docking area? bonjour je suis déjà dans les rack de stockage et je voudrait avoir la version complète pour dessiner mes maquettes pour tout type de rack. merci de m’indiquer ou et comment que je pourrait avoir les extension. 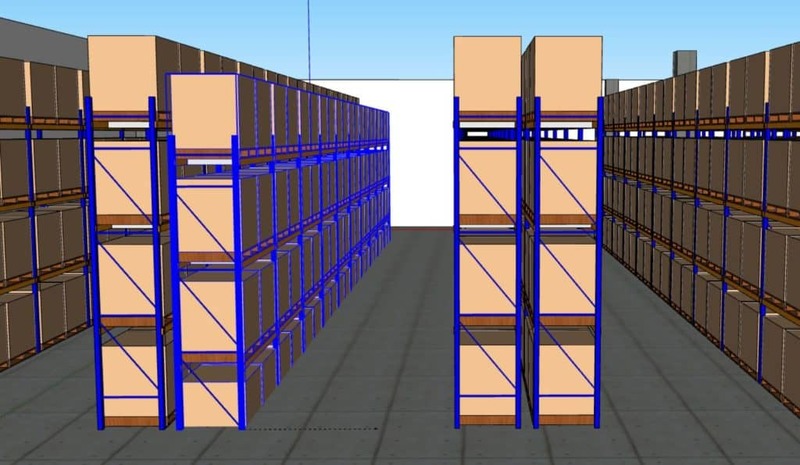 Nice tips for warehouse modeling as you have mentioned everything well. In warehouse modeling you should be proficient in keyboards shortcut commands so they will save your time in modeling and always familiarize with all functions as they will speed your modeling time. Are you using AutoCAD in creating warehouse 3d?? We can use AutoCAD as a base to build the 3D model. However, in some situations, it is easier to draw from scratch.